DSA Contractors Inc. has been bringing “Quality Masonry” to the Metro-Detroit area since 1985. 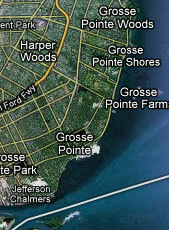 Through the years most of its work has taken place in the Grosse Pointe area. Word of mouth has established DSA as a company that works with its clients to provide the best masonry service, whether it is in making a repair or designing terraces, porches and walkways just for your home. DSA has the experience and knowledge of the field to explain to you what needs to be done and why, which will give you the assurance you need to get the job done. People know that when they choose DSA they will be getting their work completed the right way. Learn more. Thanks for the great work. Joan and I are very pleased with how the porch and the entrance came out. What a pleasure it has been to work with you. Your level of professionalism is refreshing and unfortunately is all to rare these days. Thank you for the excellent job you did on the wall for our back porch. We highly recommend you to anyone who may be considering a need for brick work. Thank you and bravo for the great job you and your team did to restore our patio walls. Your men are awesome! We are very satisfied customers! Not only does my home bare witness to your expertise in brickwork but also you kindness in going above and beyond. Special thanks to you and your crew for a beautiful job. We work primarily in the Pointes but service most communities in the area.